Dr. Steve Carstensen is one of the speakers at DentaNet Symposium 2018 where he will talk about "Treating Obstructive Sleep Breathing". You can read the program for DentaNet Symposium 2018 here. There are three fundamentals of human physiology; in our case that must be sound for the organism to achieve homeostasis and thrive. We must take in water and nutrients (eating), exchange oxygen and carbon dioxide (breathing), and spend some time in quiescence (sleeping). Should any of the three fundamentals go missing or even be seriously compromised, the organism suffers which could possibly lead to death. As a dentist, you may think your impact is limited to eating – without optimum health in the oral cavity, the inability to chew, swallow, and seeding the body with infection can affect the health in significant ways. This is indeed our area of prime expertise and we are relied upon to address stomatognathic pathology. Sadly, many dentists, physicians, and other medical professionals have not yet expanded their view to embrace the impact dentistry can have on the other two physiological fundamentals. What if the threat comes from within? Sleep is a state found in every known animal species. In humans, it is during sleep when external stimuli have limited perception by the brain, activities of body systems change, tissues are repaired, memories consolidated, and hormone release allows for disparate parts of the body to communicate and coordinate their functions so that all parts work together for maximum health of the whole organism. Consider the cardiovascular system. The heart is one of two muscles that never relaxes to the point of inactivity (the diaphragm is the other). With a rate and rhythm generated by a nerve center in the right atrium, circulation is driven by demand. There is a baseline pace during sleep that meets the needs of the quiescent body, which can be changed when nerve impulses or circulating chemical signals reach the nerve center. If a jolt of epinephrine signals the need for more oxygen to the tissues, the heart rate surges immediately, and the heart pumps more blood under higher pressure to the lungs, the brain, and the rest of the body. During sleep, the body has little need for epinephrine, nor is it prepared to respond to a sudden release of this alerting chemical. We create safe sleeping spaces so the threats are minimal in order to get a good night’s sleep without interruption from our brainstem. Unless the threat comes from within. Breathing is a mechanical action. The diaphragm contracts and flattens, which creates negative pressure within the thorax. The flexible lungs are connected via the airway to the outside of the body, so air is drawn in to resolve the negative pressure. According to the respiratory rhythm, the diaphragm and chest wall muscles work in coordination to fill the lungs and allow gas to escape as muscle tone cycles regularly. The thorax is supported by the rib cage with the diaphragm acting like a bellows to change volume and pressure within this “box”. 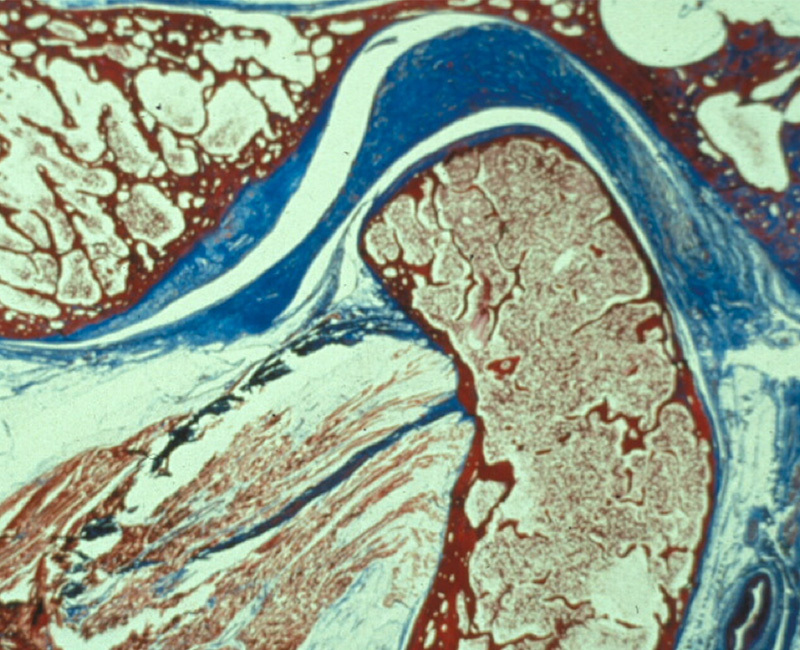 The trachea is ringed with cartilage, acting like a rigid tube, and terminates in the larynx and epiglottis. 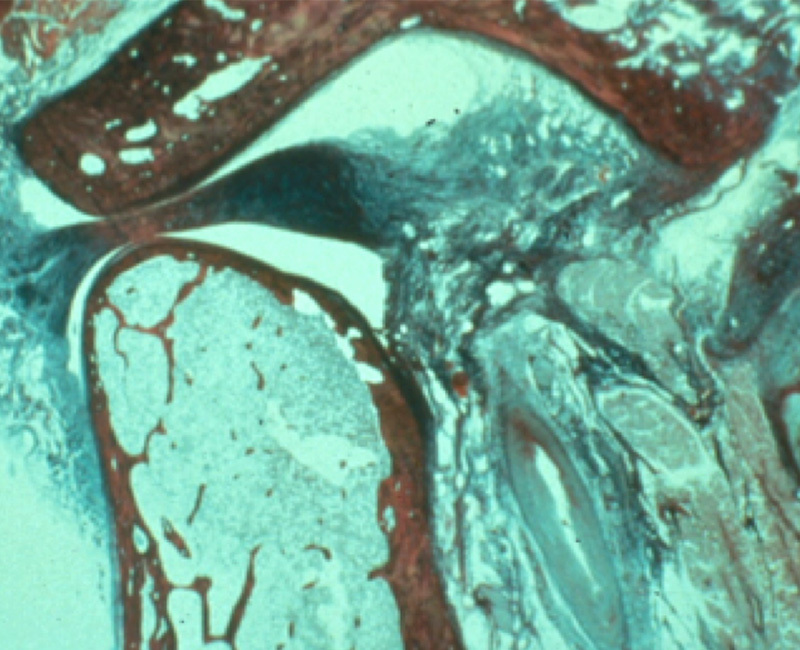 The external nasal valve, or nares, is collapsible in some people, but the nasal airway is made up of very active soft tissues supported by hard structures which are nonresponsive to pressure changes. Airflow through the nasopharynx is more affected by anatomy and secretions than by pressure. The oropharynx lies between the epiglottis and the nasopharynx, bounded on the posterior by the spine, the superior by the velum of the palate, and the inferior by the larynx. The anterior wall of the oropharynx, which defines about half of the lumen of that portion of the airway, is described by the many tissues associated with the mandible and hyoid bones - two of the very few free-floating bony structures in the body. mechanism to close off our airway during sleep. The tongue, dense with muscle, connective tissue, and fat pads, is one of the most freely movable parts of the body, capable of morphing its shape to provide for a myriad of functional requirements. The physical volume of the tongue does not change – and connective tissue. While the head remains upright, this soft tissue support works beautifully. Airway health becomes a problem when the body is supine. Before this phenomenon was understood, physicians watched as their patients in the hospital struggled to breathe. They measured oxygen levels and episodes of complete cessation of air movement, called apnea, and put protocols into place for physically moving their patients around, turning them and waking them because that would allow normal respiration for a while. When this strategy ran out, they put in tracheostomy tubes to save the lives of the obese men, who would most likely suffer this way. Pulmonologists discussed ways of preserving the lives of their patients. Meanwhile, neurologists observed disruptions in the brain wave patterns of some of their patients during sleep, noticing that the regular cycles of sleep were often interrupted, sometimes hundreds of times in an hour. At Stanford University, physician scientists thought to combine the data about pulmonary function and neurologic activity, and created the first polysomnography testing, or PSG. Data could now be gathered and labels applied to define a disease, but the reasons why the apnea events were happening eluded the medical community until a resident doctor in a hospital in Galveston, Texas, became determined to find an answer. He and his fellow residents were tasked with keeping patients alive by turning and waking them; the choking and gasping they observed at the terminus of apnea events were a clue – their patients were opening their mouths, protruding their mandibles, pushing their tongues forward, and resuming breathing. Using a nasal endoscope, the problem became clear – it was the base of the tongue, the lateral walls of the oropharynx, and the draping velum of the soft palate that were occluding the airway. Their patients were supine – gravity would draw these soft tissues, courtesy of the movable mandible, into the lumen of the oropharynx, and, in some cases, breathing itself seemed to finish the occlusion of the airway. As pulmonologists, they understood the pressure changes of respiration, and they defined obstructive sleep apnea by reporting their findings to the medical profession. What is the most obvious way to affect a problem caused by pressure? Resolve the negative pressure in the oropharynx using an external air source. 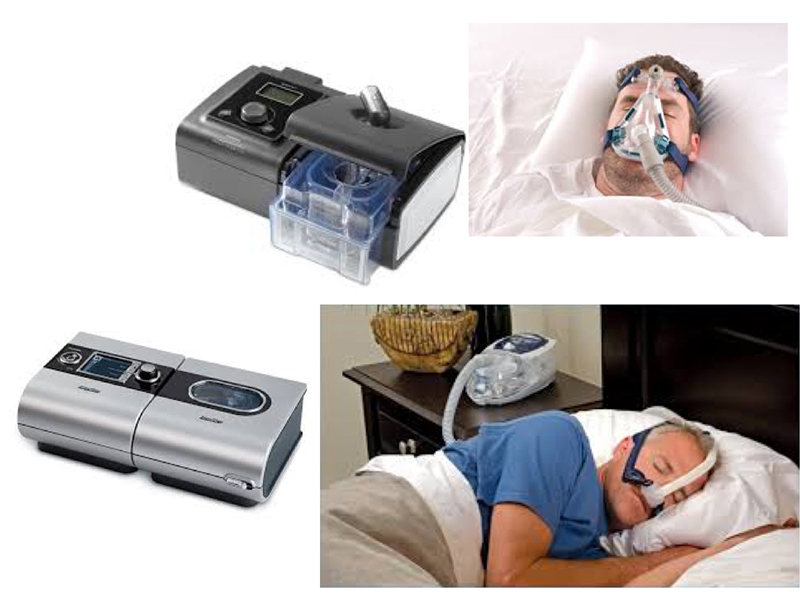 Dr. Colin Sullivan created such a support in 1978 and continuous positive air pressure, or CPAP, was developed, and became commercially available in the early 1980’s. 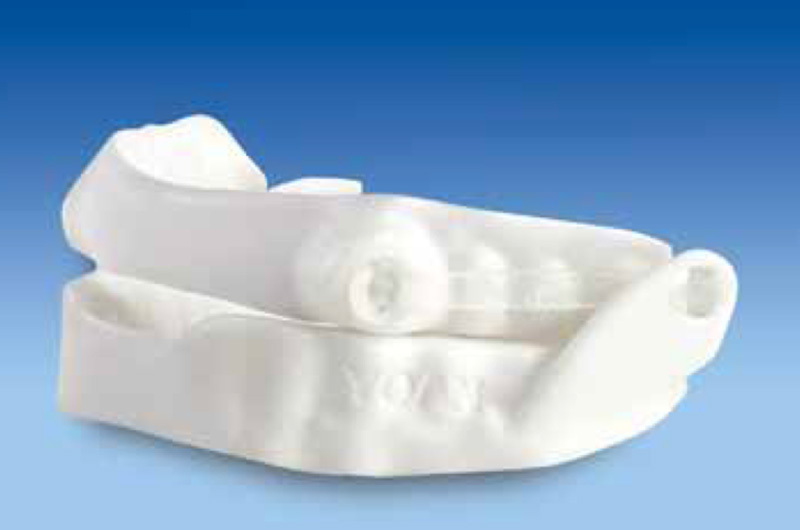 PAP devices have a near 100% efficacy in maintaining the open airway, but the utility of the mask, the headgear to hold it in place, the connection hose and flow generator renders these devices useful for less than half the patients prescribed. The list of unwanted side effects is long, and other than mask fit it is difficult to address with precision for most patients, leading to abandonment of therapy in most cases; low adherence to therapy continues to drop as time increases from diagnosis. Current research is centering on time of therapy being perhaps as important as effectiveness. Since oral appliances, supplied by trained dentists, have been a treatment choice since 1984, physicians and insurance companies have accepted their use with ever-increasing confidence. Research papers are published by the hundreds each year on some aspect of oral appliance therapy for airway health, and dentists around the globe seek training in providing this therapy. Most research concludes that for a given population of apnea sufferers, PAP therapy is better at resolving measured airway health parameters – the number of apneas and hypopneas (a reduction in airflow of over 30% from baseline) is commonly returned to normal levels. Oral Appliance Therapy, OAT, is less able to restore normality, but is far more likely to be used during the whole night’s sleep and for more nights per week, than PAP is. Thus, the two therapies have very similar abilities to restore homeostasis to the individual, and measurable physiologic effects are increasingly found to be equivalent between PAP and OAT. That observation of mandibular and tongue protrusion movements could resolve the apnea was overlooked by physicians, because they were not dentists. There was another way to fix the closed airway, and in 1984, a dentist and a pulmonologist published a paper about using a mandibular advancement device, or MAD, to physically posture the jaw forward, enlarging the oropharynx and preventing collapse of the lumen during respiration. With the new tool of PSG and a physician’s ability to connect data with medical examination, physiologic measurements, and co-morbid medical problems, the field of sleep medicine was born. The doctors and scientists began to connect the interruptions in breathing during sleep with the disruptions of brain activities. They measured hormone levels in the blood and changes to the heart rhythm. Drops in oxygen from poor gas exchange during apnea explained many health changes. Their patients began to get reasons behind chronic hypertension, blood sugar instability, excessive daytime sleepiness, and other medical conditions that had been unexplained for decades. The temporal association of events implied cause and effect and there have been thousands of papers published on the deep relationship between poor airway health during sleep and how that affects homeostasis. When the airway closes, the sympathetic nervous system kicks in to maintain life by doing whatever it takes to reestablish the breathing. Muscles that are normally quiet during sleep are activated by nerve signals and stimulated by the circulating epinephrine. The mandible opens and protrudes, and the tongue base is moved to open the oropharynx. Cardiovascular health, already compromised by hypoxia from apnea, is further challenged by this sympathetic activation and the need to immediately increase the heart rate and the work of circulation. With apnea events happening 15, 30, 60 more times an hour, night after night, year after year, the chronic intermittent hypoxia and upregulated sympathetic nervous system create significant damage to the body systems and processes. So what does a dentist need to know to become a part of the medical team managing a collapsing airway? A part of the required skills is learned in dental school – it is our profession that is trained to assess the health of the teeth, periodontium, oral tissues, and the health and orthopedic stability of the temporomandibular joint complex. What is poorly taught in dental school (and, by the way, also in medical school) is information on the subject of sleep, the collapsible airway, and the effect of apnea, hypopnea, and intermittent hypoxia on the body. The interested dentist needs to reach out to find classes to learn about pathophysiology of poor quality sleep and the effects on the body. Since much is unknown about sleep, research is being produced at an astounding rate, the need for constant learning is a part of the decision to add airway health services to a dental practice. 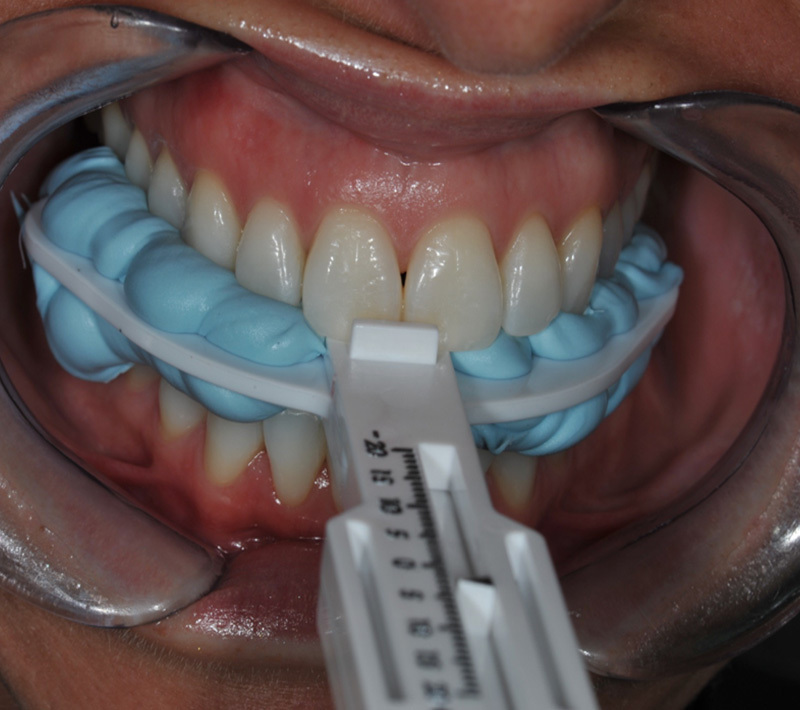 On a simple note, assessing the patient for jaw mobility and periodontal support is well-known, and it is up to us to choose between more than 100 designs of MAD to prescribe for the patient. 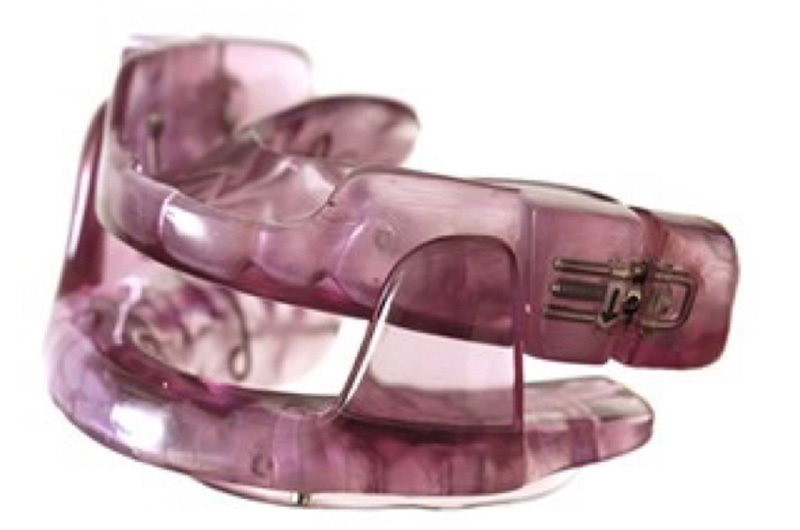 Fitting and making the MAD comfortable is a skill we all have from fitting acrylic bite guards and orthodontic retainers. As the jaw is held forward through the night, there are certain side effects we must be comfortable to manage with our patients. Primarily, these are short term: excess salivation and soreness in the muscles of mandibular movement. 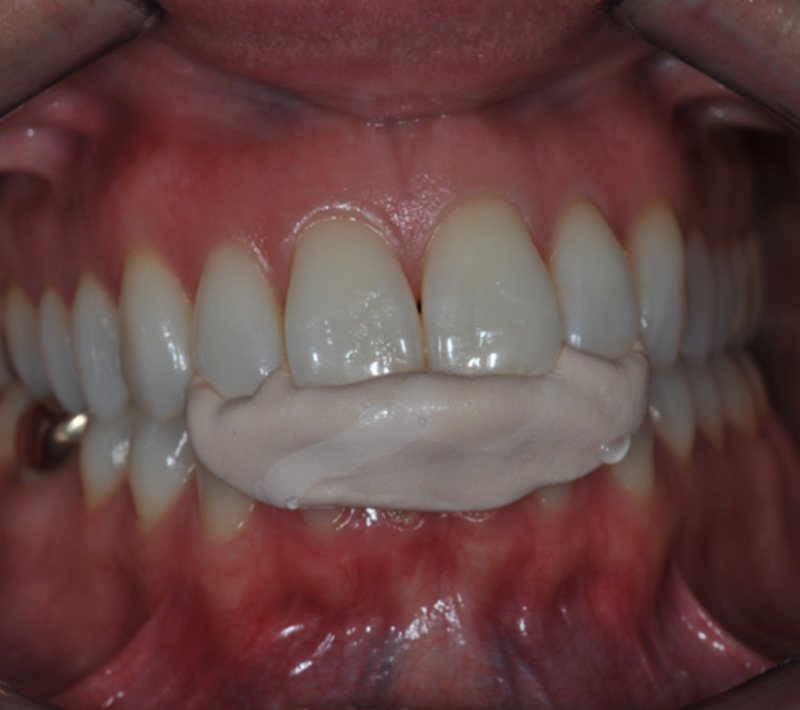 There is a protocol to ‘reset’ the bite to normal after a night’s protrusion that eliminates another category of problems. If we have done a proper TMJ assessment, there are a few long-term side effects to be concerned about, especially given the improvement in whole-body health that comes with an open airway. Because we are dealing with medical diagnosis and the consequences of apnea and hypoxia, dentists are obligated to work with the medical professionals the patients trust. As a team, the airway issues can be managed well and the patient’s health can be optimally improved. To create this excellent medical collaboration, each part of the team learns to trust the other parts. The physician, who has a choice they can always count on, PAP therapy, is often reluctant to trust their patient’s health to an unproven, and sometimes in their eyes untrained, dentist. As patients are shared, results are seen, and the culture of collaboration is built, the exchange of patients becomes more routine, and they feel the trust between professionals concerned with their best medical outcome. Dentists and other professionals realize their impact on eating, sleeping, and breathing; the three fundamentals of physiology. Building this preferred scenario cannot be described in the same way as changing a restorative material or adding a new technology. Assimilating airway health into a busy practice is a choice of culture, of branding, and of commitment of the entire office team to change the way things are done. While the chair time devoted to airway health services is not too demanding, the administrative burden and doctor decision-making time are quite different. Airway health is something treated mostly by history, assessment, and planning – all of which take time and effort, but not so much hands-on time. Medical professionals and patients will call on each member of the team to ask questions or expect work from, as scheduling, billing, lab communication, and chair time are all involved. Dental hygienists are often key members of the airway health team as they uncover signs and symptoms as well as help patients through diagnosis and treatment protocols. Sounds serious, right? Indeed, this is true. Why should a dentist want to take on a burden like this? There are probably as many reasons as there are dentists involved in airway health, but it can all be summed up this way: Can you close your eyes and remember how you felt when you provided your very best dental restoration service – the finest porcelain smile, the best occlusion, the healthiest periodontal support? How happy the patient felt and how sincere the handshake and hug that came with it was? Now imagine that same scenario, only this time, the patient is thanking you for saving their life. You can read the program for DentaNet Symposium 2018 here. We have yet again the honour of presenting 3 inspiring speakers: Dr. Steve Carstensen (sleep apnea), Dr. Mark Cronshaw (laser treatments), and Dr. Anas Aloum (prosthetics).